D&S Security has been the go-to resource for home security systems in Long Beach, California since 1987. We have assisted countless clients in this fantastic community over the years, and it is gratifying to know that our efforts keep our neighbors safe. The “Aquatic Capital of America” is incredibly vibrant, with everything that you can possibly want or need at your fingertips. Of course, like any big city, there is a significant amount of crime in town, so home security alarm systems are very important. Our company can custom craft a solution that is ideal for you and your home, whether it is a simple burglar alarm system or a high-tech remotely controlled package. We serve all parts of town, from Naples to Bixby Knolls to Belmont Shore and everywhere in between. To sum it up in a simple phrase, for home security systems in Long Beach, California, D&S Security is the only logical choice. In addition to the work that we do with area homeowners, we also serve members of the business community. 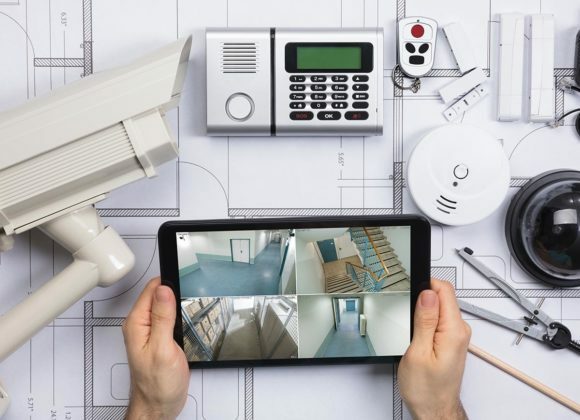 We install commercial security systems that will detect intruders, and we have a great deal of expertise with video surveillance systems as well. Clearly, CCTV systems can be used to deter and detect theft, but there are other benefits. The actions of employees can be monitored, and if someone was to claim that they were injured on your property, you can review the video recording to find out exactly what happened. The surveillance cameras Long Beach, California businesses can obtain from us are highly effective, but they are surprisingly affordable. A total business security system will include an access control solution. This is an area of expertise for our company, and we provide our clients with freedom of choice. We offer numeric keypads, proximity card readers, and biometric access control systems that identify unique distinguishing features like fingerprints and irises. Fires can take a heavy toll, and in fact, a significant percentage of businesses never recover after they have been impacted by fire damage. You can protect your commercial structure through the installation of a state-of-the-art commercial fire alarm system. We can explain your options to you so that you can make an informed decision, and after the system has been installed, we can take care of the monitoring for you. If you would like to discuss your needs with one of our knowledgeable Long Beach, California security system experts, give us a call at 800-521-1958. You can alternately send us a message through our contact page if you would prefer to get in touch electronically.